Homemade food in a hurry. 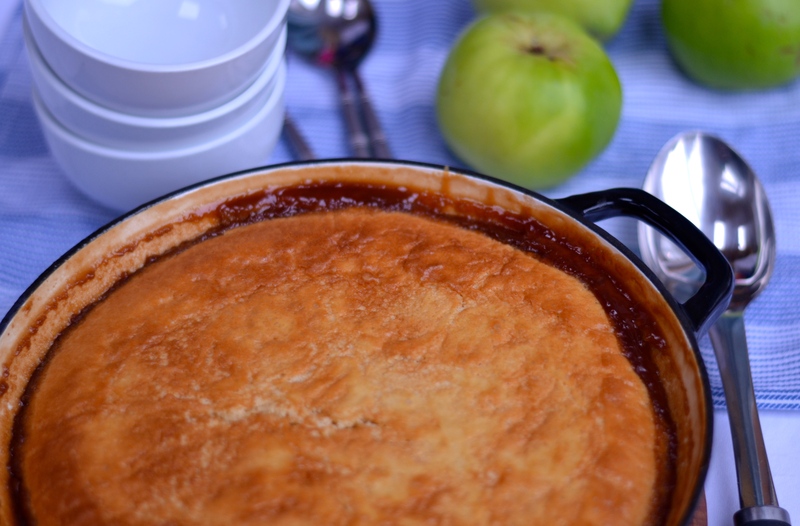 Toffee Apple Puddle Pudding – A magic dish of light fluffy sponge hiding a layer of caramel apples encased in a gooey toffee sauce that bakes right there in the dish! 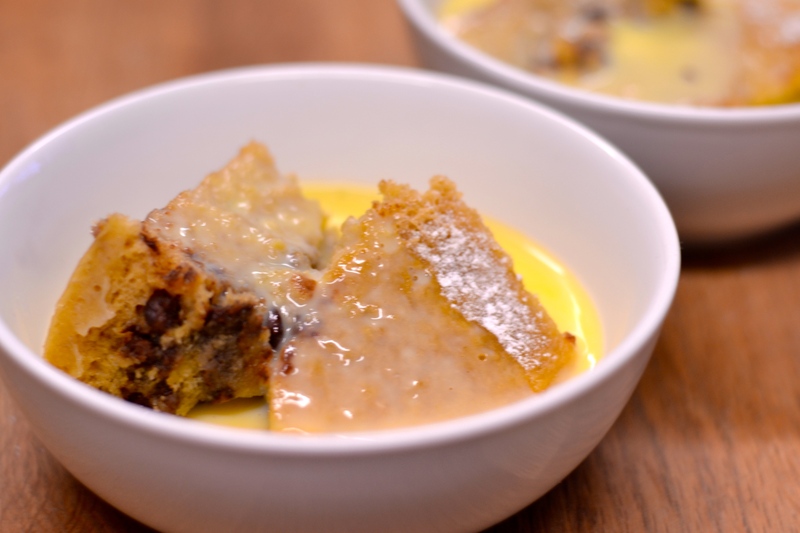 Do you know about Puddle Puddings? The magic, that is Puddle Puddings? They’re amazing (I’m easily impressed ok). You make a cake batter, pour over a watery concoction that doesn’t look like anything, shove it in the oven, then when you take it out there’s a lovely sponge topping and a gooey sauce underneath. A. Maz. Ing. I’ve made a chocolate puddle pudding for a while now, but came across the idea for a toffee apple one only recently. We have a teeny tiny apple tree in our garden, it was planted at the start of this year. Well it only went and produced 13 apples this autumn. Go little tree! 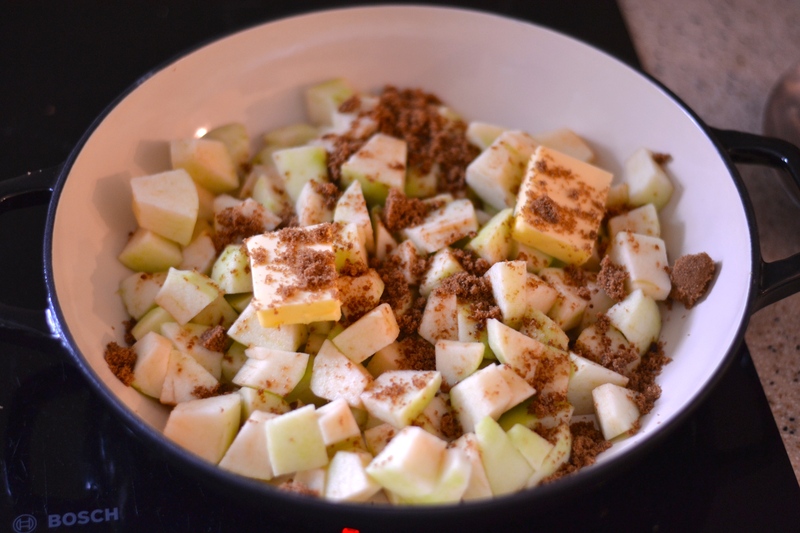 So I was looking for what I could make with the apples, after I’d obviously made a crumble. 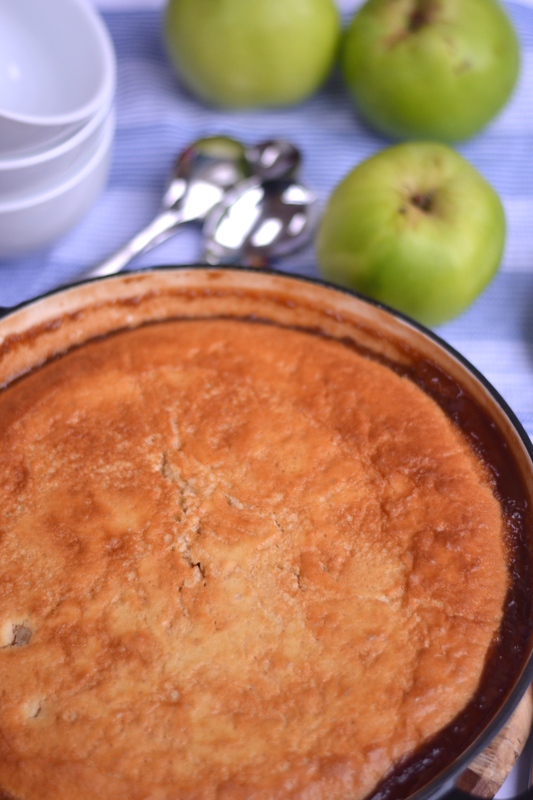 I found a couple of different recipes for apple puddings and combined them to make this one. Don’t be put off by a reasonably long list of ingredients. This is super simple to make. 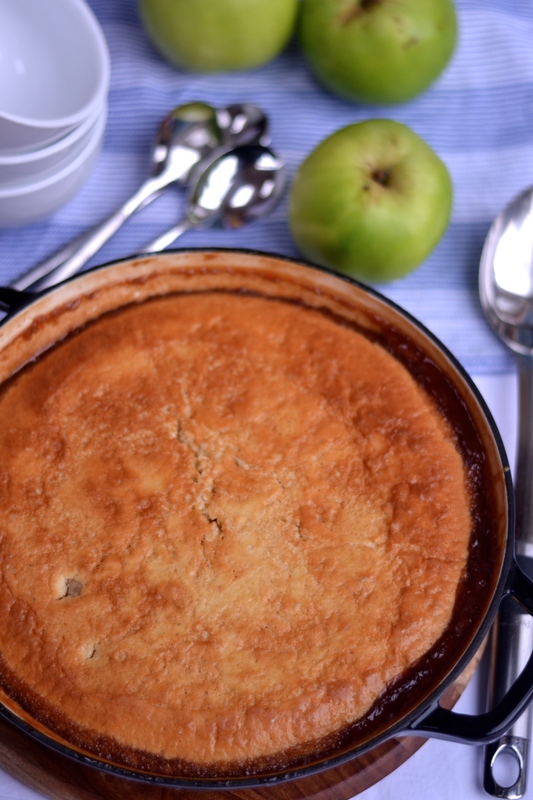 I used bramley apples because I prefer the tartness of the apple alongside the sweetness of the toffee sauce. But use whatever you like/have to hand. Type of sugar isn’t drastically important here – you could use granulated for the cake batter – but do use dark brown sugar for the sauce. You’ll get a richer toffee sauce. 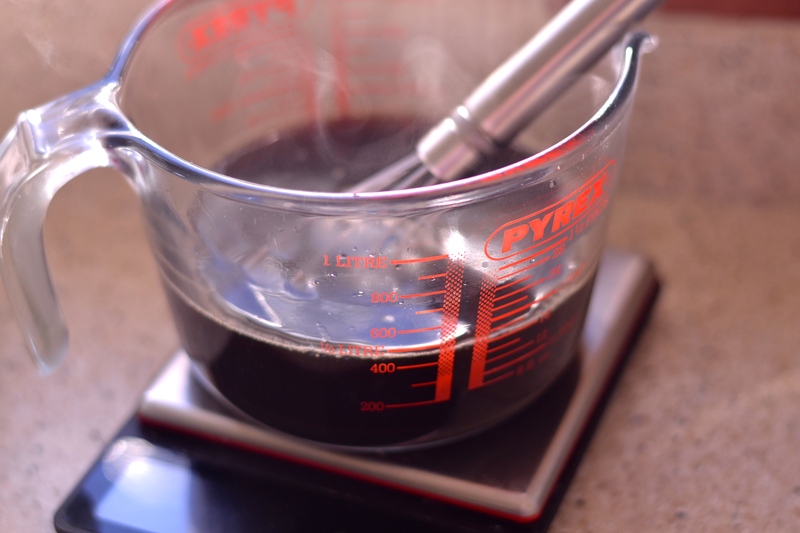 The conversion to cups is slightly rounded, but should produce the same results. 1. Peel, core and dice the apples. Then add them to a pan with the butter and sugar. 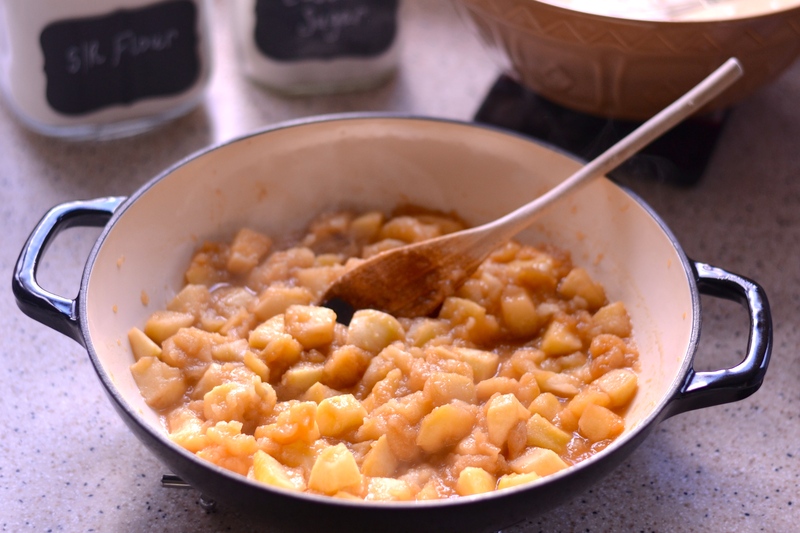 Over a medium-low heat gently cook the apples until they are slightly softened (my kids don’t like remotely hard fruit in their puddings so I have to cook mine until it’s practically puree, but you be the judge of when your apples are cooked to your liking). I cooked the whole pudding in my shallow cast iron pan because it can go from hob to oven, is big enough, and looks nice for the photos. 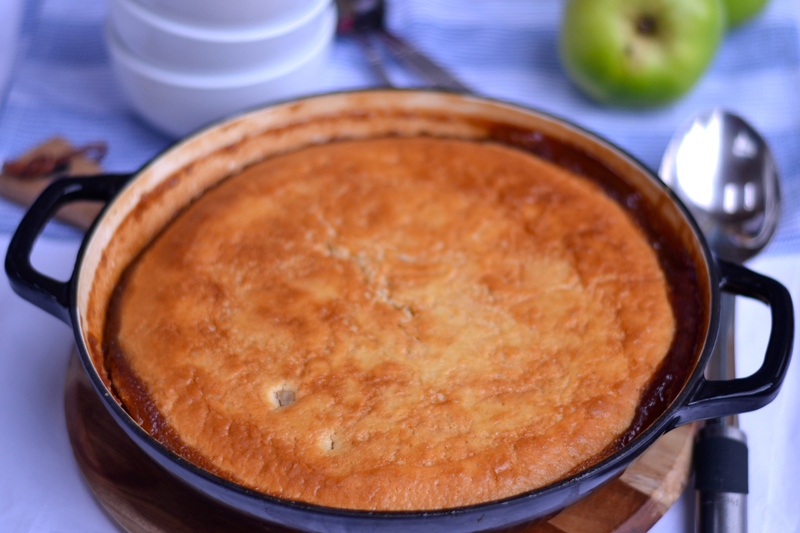 If you don’t have a dish that is big enough and can go from hob to oven, just cook the apples in a pan, then transfer them to a 2 litre ovenproof dish (like a casserole dish) before adding the batter on top. 2. Preheat your oven to 160°C (fan) / 300°F. 3. 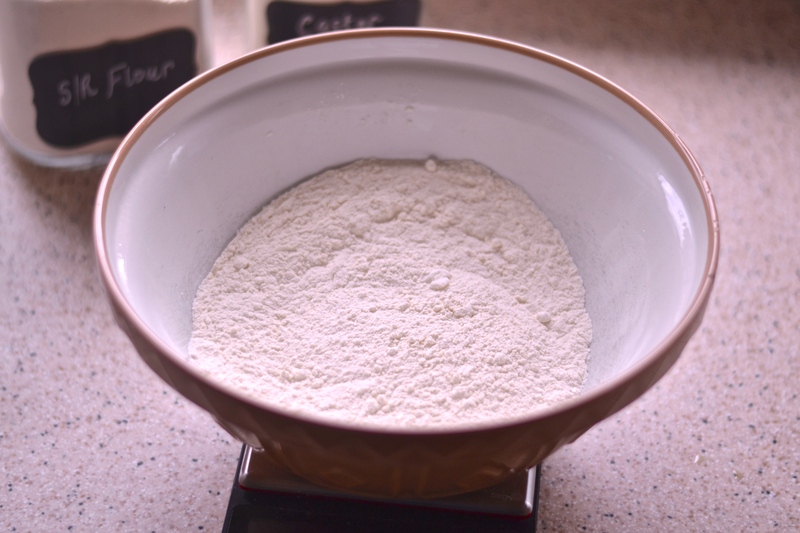 In a large bowl mix together the flour, baking powder, caster sugar and salt. 4. Melt the butter, then add the milk, eggs and vanilla. This mixture can go a bit goopy as the butter solidifies a bit when you add the cold milk, but don’t worry, it’ll be just fine. 5. 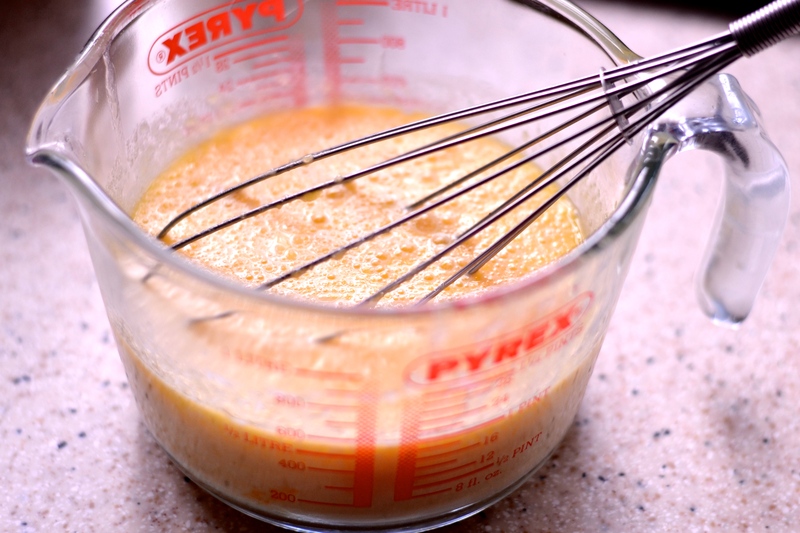 Add the wet ingredients to the dry, and stir well to form a batter. Pour this evenly over the apples. 6. Mix together the dark brown sugar, syrup and boiling water. 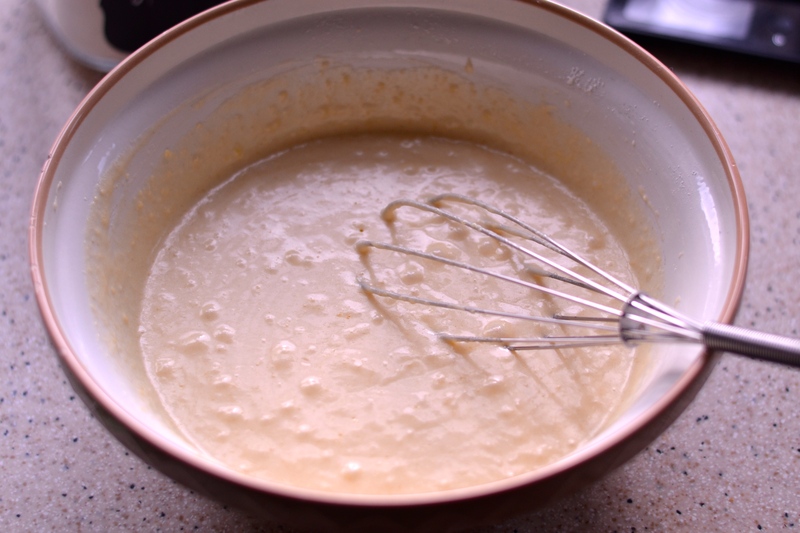 Then carefully pour this all over the batter. It’ll look strange, but go with it. 7. Pop this (carefully) into your preheated oven and cook for around 45 minutes. The middle should be cooked and a skewer inserted will come out free of batter. Serve with your choice of side – I like either ice-cream or custard – making sure you get a good scoop of toffee sauce from underneath with every spoonful. If you’ve never made a puddle pudding before, the point at which you pour a watery sauce over the cake batter can seem fairly strange. But stick with it, have faith, and I promise you will not be disappointed. 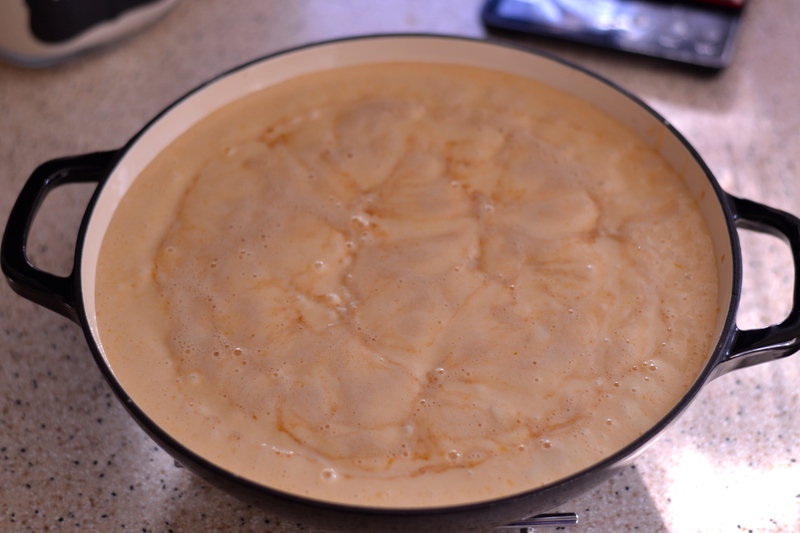 If this still seems like too much work why not try my Banana Microwave Pudding which really is ridiculously quick and simple. Oh boy, this looks mouth-wateringly good Sarah. I only make pudding on a Sunday and this will be a real treat. Enter your email address to follow The Hectic Cook and receive notifications of new posts by email. The Hectic Cook Blog at WordPress.com.